His first move was a surprise. In a mixed martial arts (MMA) fight between two teenage boys, the smaller of the two came out far more aggressive and in a matter of minutes, his opponent was out cold on the mat. A medic was called in to care for him. That’s the start of the latest story by Flora Charner, who began working in Rio de Janeiro as a video producer for the Associated Press in 2007. “Although many favelas are classified as ‘slums’ or ‘shantytowns,’ many have grown beyond this definition. They are neighborhoods that deserve to have a story,” she said. Last December she launched a crowdfunding campaign on the independent journalism platform Beacon Reader to finance her project, “I Am Favela.” Every month she interviews athletes, activists, entrepreneurs and everyday people from the favelas of Rio de Janeiro, accompanied by image galleries and video interviews. More than 11 million people live in favelas throughout Brazil, according to the 2010 census. 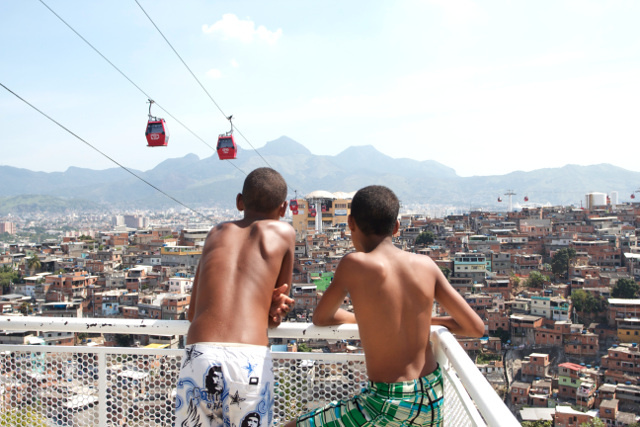 News coverage about favelas tends to revolve around crime or poverty. There is crime and poverty but there is also comunidade, culture and rich life inside the bright, urban favelas of Rio de Janeiro, Charner said. 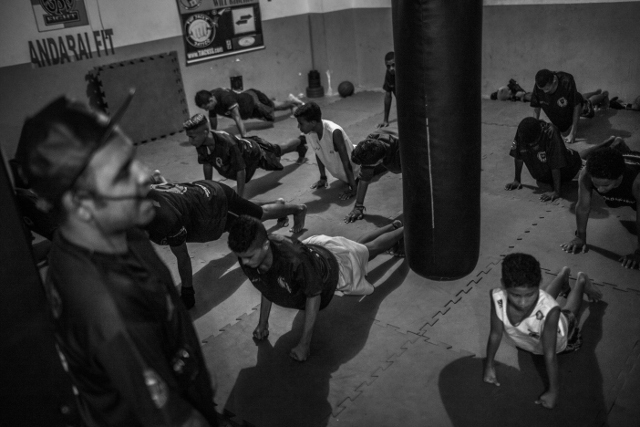 Since 2008, the UPP (Pacifying Police Unit) have occupied 40 favelas in their fight to gain back control over territories authorities believe to be under the control of drug gangs and traffickers. However, sometimes that fight has led to criticism of police, like in the death of this man or a 10-year-old boy that brought protesters into the streets. News stories and pressure to address security issues increased before the 2014 FIFA World Cup and ahead of the 2016 Summer Olympics. “The demand of international media outlets was to focus on the violence,” she said. “I Am Favela” goes in a different direction. As of this month, Charner has written five stories, including several character-driven narratives of people who live in different favelas, including Thiago Firmino from favela Santa Marta, Daiene Mendes from favela Complexo de Alemão and Will Ribeiro from favela Adaraí. “The truth is my objective is to create multimedia stories for all of the narratives,” Charner said. Currently a contributor to Al Jazeera English, Al Jazeera America, AP and America’s Quarterly among others, Charner’s biggest challenge for the “I Am Favela” project is time management and realistic deadlines. Each story takes between two to three days to produce. In the future, she hopes to collaborate with photographers based in Rio de Janeiro and Portuguese translators to reach a larger audience in Brazil. Although the campaign reached its initial goal of $3,000 in January, Charner hopes to continue financing the project for the rest of the year through journalism grants or another round of crowdfunding. The project may also continue as a book or a website, depending on the interest of backers. “This project has room to grow, and these stories deserve to be read, heard and shared.” Charner said. View her project’s Instagram gallery here. Visit Amazon.com to see her book Shot in the Favela.